The following post contains Amazon Affiliate links, meaning that I receive a small commission based on sales that result from this post. Thank you for supporting this blog! I recently wanted to know how to temporarily color my hair a rose gold pastel pink color. After doing some research, I found out that it was as easy as using a temporary spray. The one thing I did not want was sticky hair, but the only way to find out if pink hair would also mean sticky hair, was the try one of the products that I have seen recommended. 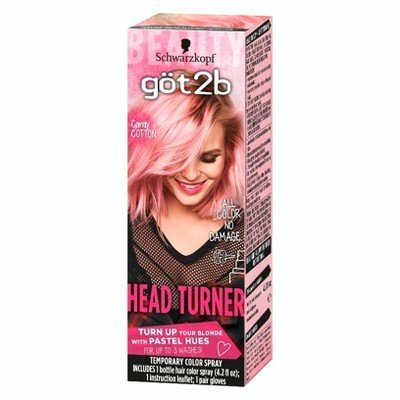 I purchased a bottle of the Got2B Head Turner in the color Cotton Candy. The instructions were fairly easy - you spray it onto dry hair (it comes with a glove), and then you blow dry the product into your hair. I went to work first working on my hair piece. After drying my hair with a round brush and a hair dryer, I was very happy with how smooth it felt! I went to work on my real hair, and in the end I had a soft rose cold pastel pink hair color. I left it in for two days, and then it washed out when I washed my hair. Overall, I really like this hair product. And, it comes in other colors (which I have yet to try). 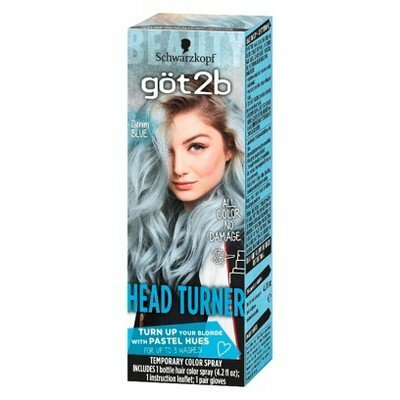 The spray is easy to apply, soft to the touch, and provides a wonderful shade of pastel hair color. And my kids? They LOVED my pink hair look. I need to do it more often to remind them that I’m not a regular mom, I’m a cool mom!